If you have not grown your own tomatoes before, you’re missing out. Give it a try: homegrown tomatoes are worlds apart from the flavorless specimens that we find in super markets. 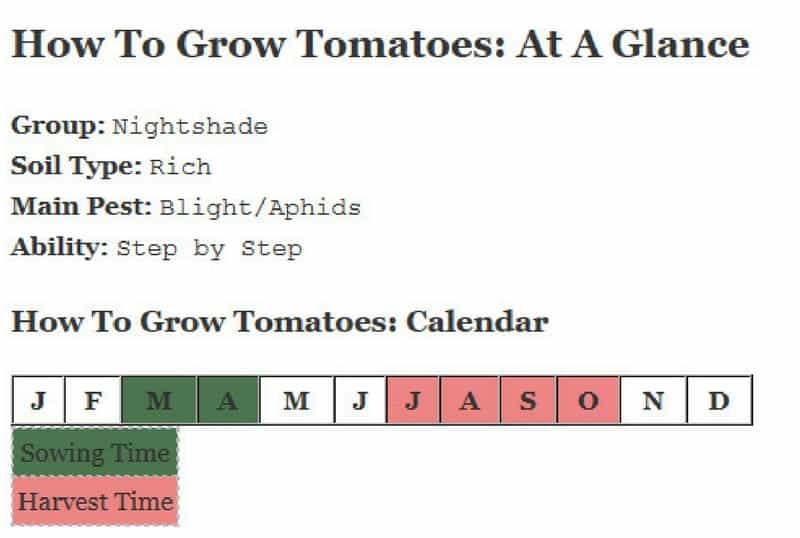 Not sure how to grow tomatoes? No worries: you’re in the right place to learn the best ways to grow juicy and delicious tomatoes. Luster Leaf Rapitest Garden Tomato Grower-Foots Test Kit 1610 Tomatoes are very greedy plants and, as they produce so much fruit, they need a rich soil. 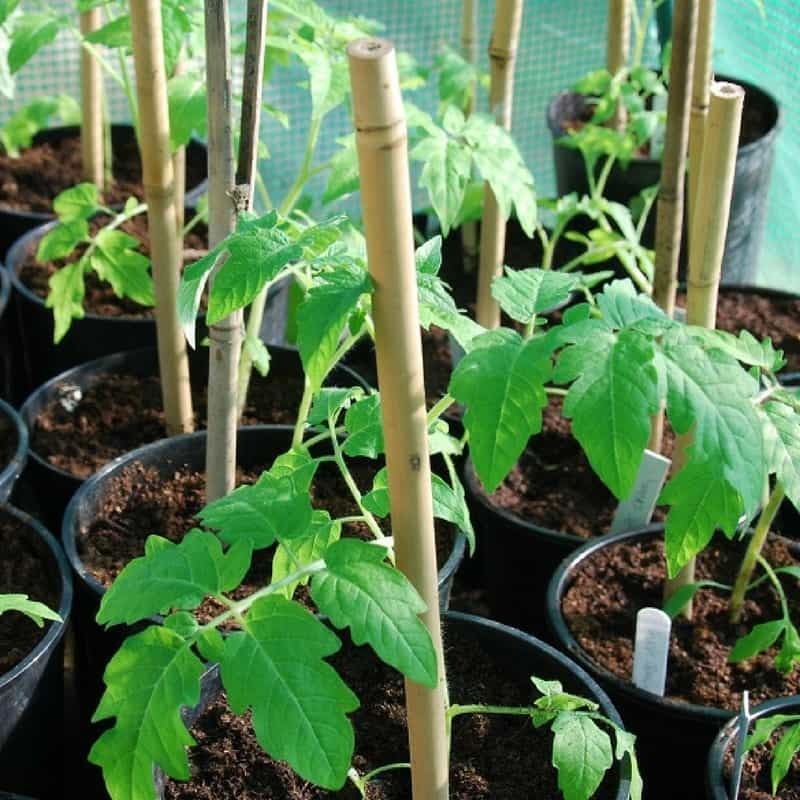 To prepare the ground for growing a bumper crop of tomatoes, whether in the greenhouse or outside, incorporate plenty of manure or soil conditioner into the bed. Well-rotted horse manure is a perfect food and I would suggest adding as much as one wheelbarrow full per square yard of soil. If you don’t have access to manure, contact your local agricultural extension office to see if they may have compost for sale. 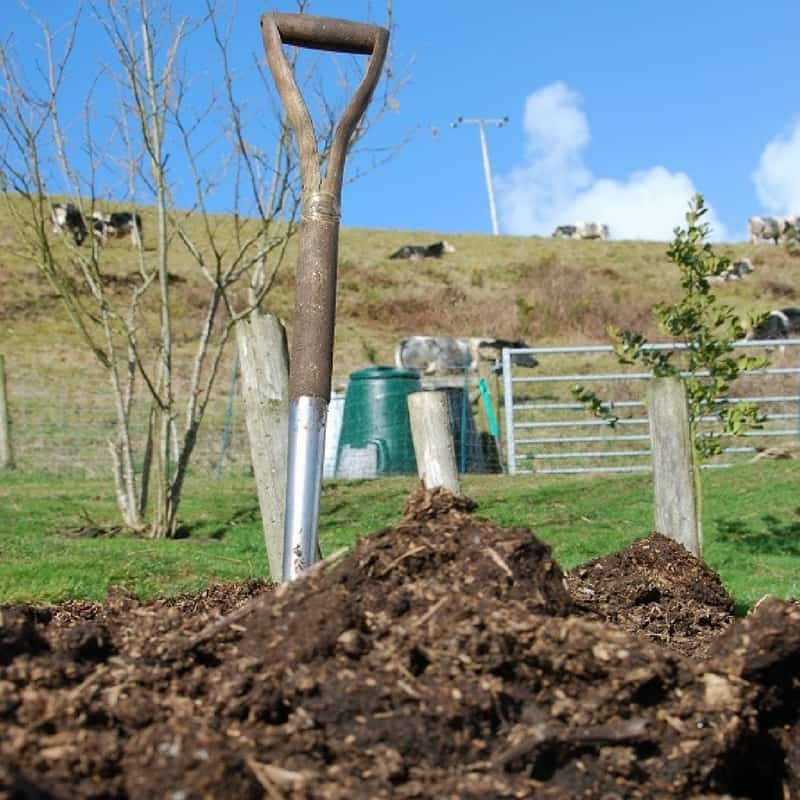 Compost is a great source of plant nutrition and is good value for money. If you are using a commercial plant food it’s also worth adding the contents of a garden compost bin or a leaf mold to improve the soil structure. Some people prefer to use grow bags for their tomatoes, but I am not convinced that this is a good alternative to growing in the soil. 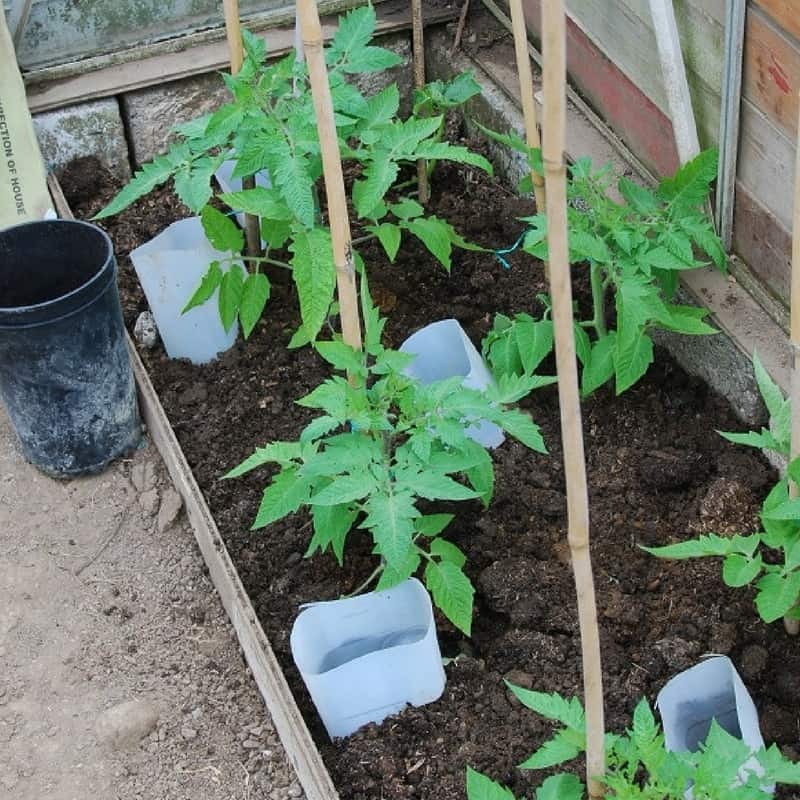 If you have no choice and have to use grow bags I would recommend that instead of growing three plants in each bag, stick to two plants, and plant them in a large bottomless plant pot cut into the top of the grow-bag. Before you can start sowing tomato seeds you will first need to decide what type of tomato you are going to grow, and where you are going to grow them. Unlike the supermarket, where you will have a maximum of about six different tomatoes to choose from, when you grow at home you have over seven thousand varieties available. Generally you will be looking at choosing a variety that can be termed either Beef, Plum, Baby and Standard or Salad tomatoes, and the types of plant would tend to be bush tomatoes or a cordon type. Bush tomato plants (also known as determinate tomatoes) can get very large and will need up to a yard square of space. 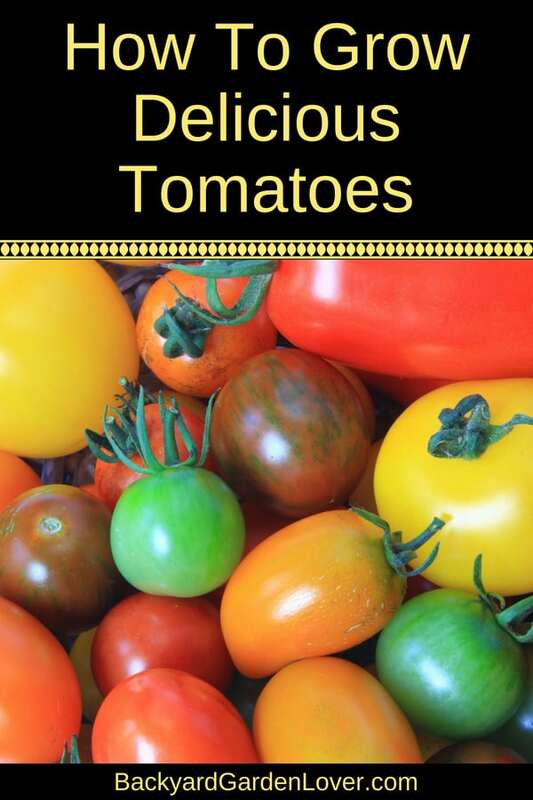 These varieties of tomatoes are best grown outside. The tomatoes on the bush varieties tend to be smaller. They will not need any pruning and will often finish fruiting earlier. Bush varieties also include the dwarf tomato plants that are ideal for hanging baskets and patio containers. The cordon (also known as indeterminate) tomato plants grow taller and need a support system to hold them. Cordon tomato plants need more attention as they will need constant pruning to stop the plant from becoming the bush it naturally wants to be. Cordons can be grown outside but perform much better in the greenhouse, and they can produce fruits much later than the bush varieties. Before you discover how to grow tomatoes you will need to decide which variety of tomato to grow, here are some of our favorite tomato varieties for each type of tomato. If you plan to grow tomatoes outside, make sure you choose the sunniest spot in the garden. We keep a greenhouse for tomatoes only and grow all our cordon varieties there. The bush varieties and the container plants are all grown outside. During the sowing season we divide our seed collection into indoor tomatoes, which we sow in early March and outdoor tomatoes which we sow in early April. 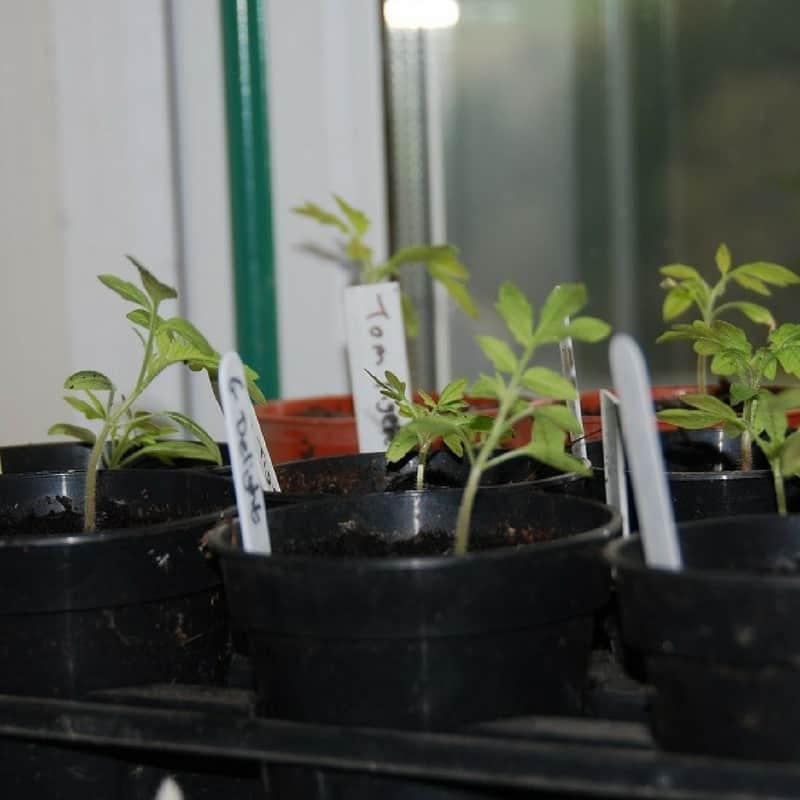 It’s best to sow tomato seeds in a propagator, and once germinated keep on a warm, sunny windowsill to develop. Or sow in a small pot and move on to a 3″ pot as soon as they are large enough to handle. Once potted on. the seedlings can be moved to the greenhouse, unless it is exceptionally cold. Indoor varieties will normally be planted into their final growing position in mid-May, and outdoor by mid-June after a hardening off period. But, if you feel the tomato plant is outgrowing its pot, don’t be afraid to re-pot. 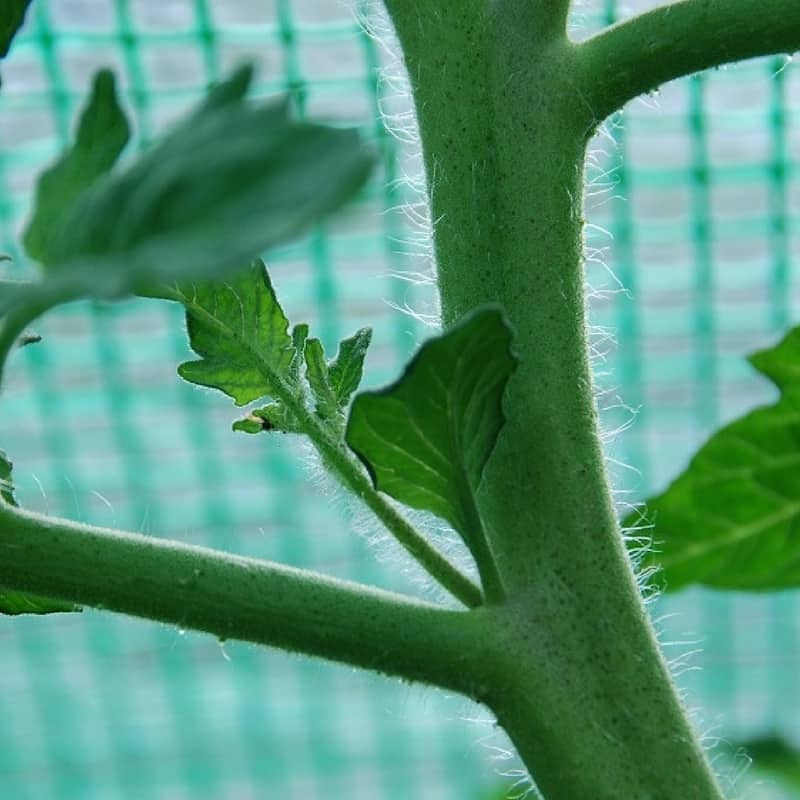 If you look at the stem of the tomato plant you will see a lot of fine hairs. These hairs all have the potential to turn into roots, so it is good practice to plant tomato plants in a deep compost, burying about ten percent of the stem. This will help with root development which is essential for a healthy tomato plant. When planting out into their final position, cordons will need to be spaced about 20 inches apart, and bush varieties will need one to two yards to give them enough space to spread. 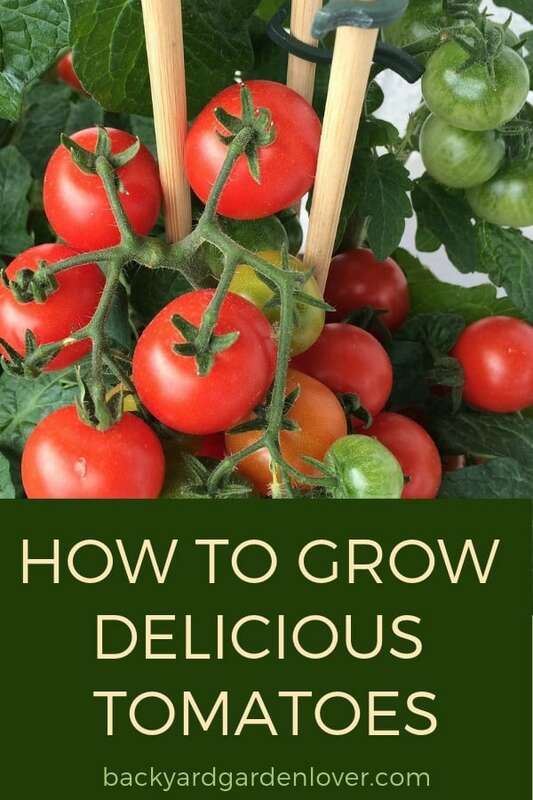 But with so many varieties of tomato plants, it is good practice to follow the how to grow tomatoes instructions on the seed packet. Add a handful of Epsom salt before you stick the tomato plant in the ground. This helps the tomato plants to build stronger roots and obtain nutrients from the soil easier. The cordon varieties of tomatoes grow quickly and their stems are not that strong. These tomato varieties will need supporting and it’s best to push a stake in while the plants are small: this way you don’t damage the roots. When you plant in the final position cordon tomatoes will definitely need stakes. Also, adding an inverted open soda or milk bottle with the bottom cut off allows you to water the plant accurately and efficiently. Outdoor bush and container varieties need little attention other than feeding once a week with a liquid tomato food when they start to flower, and a good water every other day in a dry season. Cordon tomato plants require more work. They not only need watering and feeding, they will also need pruning. Also, if grown in the greenhouse each plant will need about a quart of water every other day, and daily during hot weather spells. Pruning is a simple and straight forward process: simply remove the shoots that try to grow in between the plant main stem and a leaf branch. This has the effect of limiting the amount of foliage the plant has so that more energy is available for fruit production. As the cordon plant grows, not only will it grow leaf branches: it will also grow tomato trusses, which will flower and eventually set fruit. The amount of trusses the plant produces will determine the number of tomatoes the plant will ultimately provide. 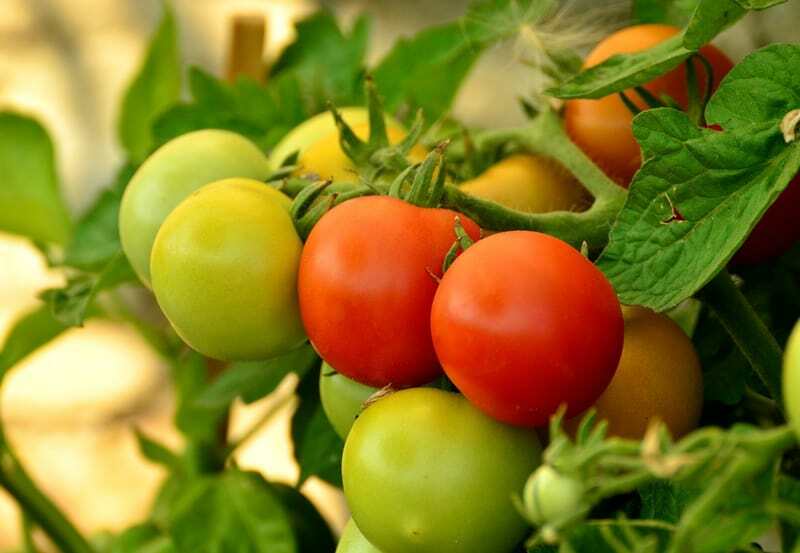 When growing tomatoes outside, the trusses towards the top of the plant grow much later and an outdoor plant will not have the heat to be able to mature and ripen late forming fruit. For this reason it’s a good idea to stop the outdoor tomato plants from growing when they had produced a maximum of five or six trusses. 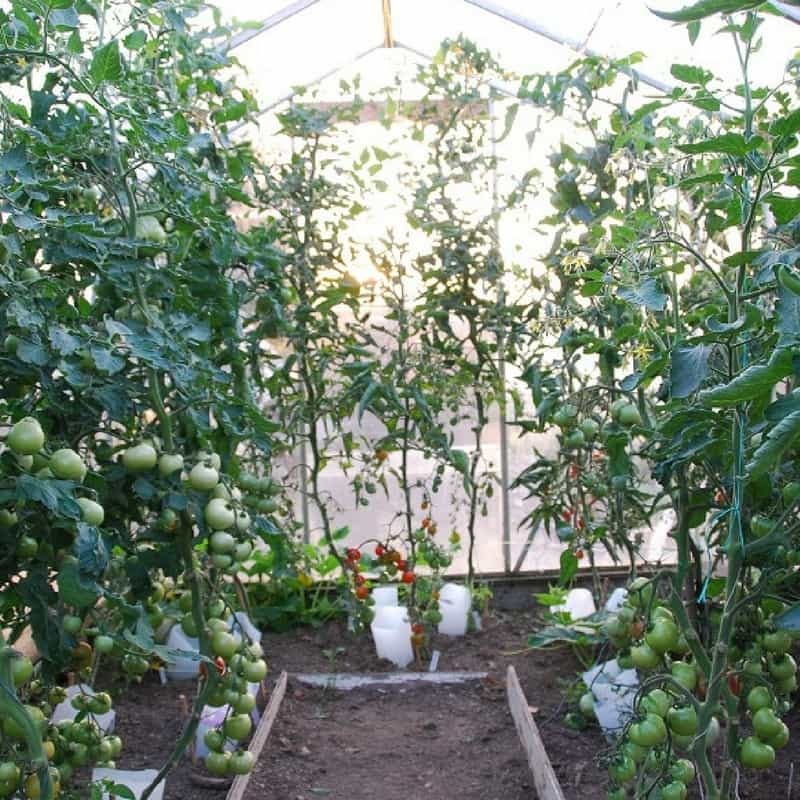 Greenhouse tomatoes do not have the problem of growing and ripening fruit, so there is no need to cut out the growing tip until the plant had reached the ceiling of the greenhouse. We have mentioned watering as a necessity for greenhouse plants, but don’t be tempted to over-water. Excess of water will find its way into the fruit and wash out the terrific flavor of your home grown tomatoes. And who would want that? As the flowers form, to help greenhouse tomatoes to set, it helps to occasional mist spray them. As the fruits grow, remove the leaf branches from the lower part of the plant, especially if they are starting to curl. This will provide light to help the lower fruits to ripen and air to keep them healthy. Continue to remove leaf branches as the plant matures so that by the end of the season there are only a few branches at the top of the plant. If you don’t have a big backyard, you can easily grow tomatoes in containers on your porch, balcony, or anywhere else you can find a nice sunny spot. Tomatoes LOVE heat and growing them in pots allow the soil to warm up faster. This helps the tomatoes grow, but it also means the soil can get dry a lot faster. Remember to water your tomato pots twice a day, especially on hot days. You’ll still need to stake your tomatoes, prune them and watch for diseases. Here’s a very informative video if you learn better by seeing. Now you can enjoy tomatoes no matter where you live, or how small your yard is. And of course, you can move your tomato pots indoors once the weather cools, to extent their growing season. Wonder if you can grow tomatoes indoors? Yes, you can. I’d probably start them indoors, take them outdoors while the weather is nice and bring them back indoors once the weather gets cold in the fall. This way your tomatoes get some natural sunlight, some air, some breeze, and then can continue growing inside. I can only imagine eating fresh tomatoes off the vines in the winter: YUM! Many gardeners will tell you that to grow tomatoes successfully is not easy. 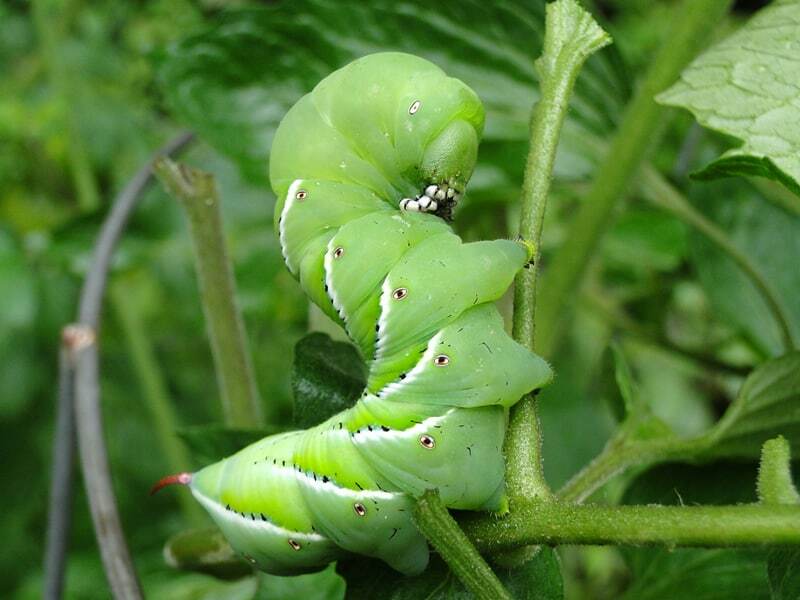 Because of the onslaught of tomato pests and diseases, you will need to be prepared to spot pests and diseased and take action before it’s too late. Aphids, white-fly and red spider mites are the most likely insects to attack tomatoes. Next come the slugs and snails, and , of course, the hornworms. YUCK! Then there are diseases such as mildew, blight and leaf mold. It’s not surprising that some people don’t bother growing tomatoes. While this list is off putting, please don’t let it put you off as other than a few slugs and snails, we have never faced one of these issues. To deter aphids, grow basil, chives or mint around the tomato plants. French marigolds will help deter whitefly. Spacing out the plants, removing the lower leaves and opening the greenhouse windows during the day will help to stop leaf mold and blight. Removing any infected leaves will stop the diseases from spreading. And if you are unlucky enough to pick up a virus disease, then removing and burning the plant is the only option. Harvesting tomatoes couldn’t be easier: keep an eye for ripening fruit and just pick what is ripe. All you need to do is twist the tomato slowly and it’ll snap off. If you have a bumper crop of tomatoes, I highly suggest getting an electric tomato strainer to help you make puree, soups and jellies. Your first tomatoes should be ready in July and you will have a steady supply through until October. At the end of October you will have some green tomatoes that probably won’t ripen. Pick them before the first frost and either use them in a green tomato chutney, or you could store in a dark place until they turn red. We grow a lot of standard and plum tomatoes for cooking, rather than using canned tomatoes. As tomatoes ripen, we pick, wash, give them a whiz in the VitaMix and put them in the freezer. I never buy canned tomatoes, and we LOVE our tomato soup in the cold winter nights! Keep tomatoes you’ll use now at room temperature as their flavor is much better than when chilled. 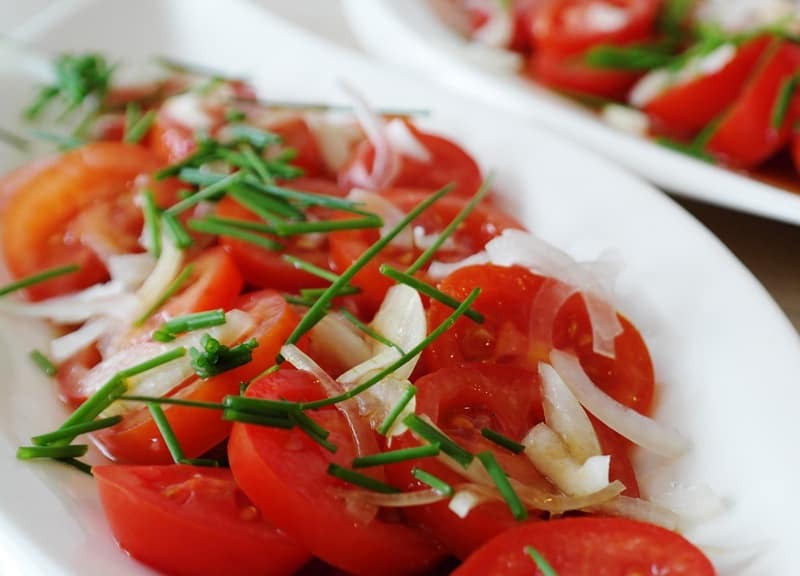 Tomatoes are very versatile: from salads to freezing and saucing. Tomato soup is probably the simplest solution, and it’s absolutely delicious! Here are a few more ideas for cooking with tomatoes: tomato sauce, tomato chutney, sun dried tomatoes, green tomato chutney, ketchup, gazpacho, salsa, stuffed tomatoes, tomato salad, and of course, fried green tomatoes.